Mark was very persistent but nice at the same time. We were able to work out a deal with most of the things that I wanted . I'm happy that Mark gave me a little push because I really did want an SUV for a while. love my new SUV. Went to get my vehicle service and Crystal Martin dealt with me, she's such an amazing worker and I just want to acknowledge her on going above and beyond for my family. Hyundai Kelowna is glad to have you. Such great professionalism. 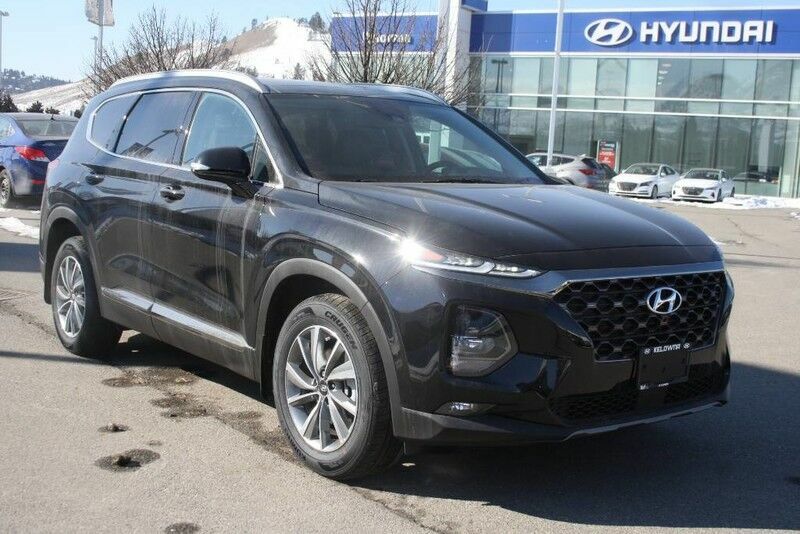 I had the best experience at Kelowna Hyundai recently. I wanted to have a quick check of my tire pressure, fluid levels etc. before driving to Victoria on the weekend. I emailed Connor McGowan who sold me my car and asked if he could help me set it up. He was very helpful and told me to come in at my convenience and ask for Crystal. Crystal was exceptional at her job! She was efficient and friendly and had my car in quickly. I was shocked to be told that they found a large nail in one of my rear tires that was already causing air leakage. Crystal tried to find a replacement winter tire but there was nothing available that day so they put my summer tires on for me and I was on my way. Safe and satisfied! We just bought from Kelowna Hyundai. Jayson and Jordan worked hard and long to get to a deal that worked for all of us. Since they didn’t have the trim package we were looking for they made it happen through their other lot in Maple Ridge. Great service there. Friendly, knowledgeable and fair. All around, a great sales experience. Just bought a car from Jayson at Kelowna Hyundai...impressed by his friendliness, attention to detail and he even had me back to go over all the bells and whistles to make sure I got everything. Would recommend totally recommend them. I do have to go back once more to get my undercoat etc done but I have no fears that the service will be just as good. It was good experience being at Kelowna Hyundai. Thanks to Sean Tackaberry for helping me out in finding a vehicle I was looking for. The staff is friendly and informative. Keep up the good work. Thanks to Sean again for making this deal. Thanks to the entire staff for the positive experience we had in purchasing our vehicle last week. Especially Eduardo, he made this such an enjoyable time for us including our son Nicholas. He was really the reason we did business with Kelowna Hyundai! Thank you again, we are really happy with our purchase, and dealing with everyone until we drove away was great. The Marino family. We recently shopped for a used but newer fuel efficient car in Kelowna. After several ho-hum experiences at other dealerships, we visited Kelowna Hyundai. Our experiences from sales team through multiple visits was excellent, informative, and never pushy. We felt like we were treated well and because of Connor McGowan, we stuck with this dealership and bought a 2017 Hyundai Veloster SE. We are so happy with our purchase and highly recommend people go meet Connor (tell him Sean sent you!). Thank you also to Sam and Tanya who made our purchase go smoothly and with great value for our budget. Connor at Kelowna Hyundai was phenomenal at helping my wife and I looking for a new vehicle. I had so many bad experiences at other dealerships, but Connor took the time to show me a multitude of options to find me something that fit my needs. They were also very reasonable when it came to pricing with no high pressure sales tactics. I highly recommend going to see Connor if you are in the market for a new or used vehicle. Damian was awesome ... in and out with a new car in 4 hours! Had my check engine light come on while driving up from the coast on Friday. Called them and they were able to get the car in that day and finished up the job on Saturday. Was still under warranty so did not cost me anything, but the service was great.